Meet MoMer’s Web Page Gin – our very own bottling! No Comments on Meet MoMer’s Web Page Gin – our very own bottling! Which is why it gives us great pleasure to unveil our latest creation: MoMer’s Web Page Gin. The delicious tipple is a celebration of all things MoM. Developed in collaboration with those fab folk at That Boutique-y Gin Company, MoMer’s Web Page Gin is a classic dry gin with a rich, warming and distinctive profile. Introducing: MoMer’s Web Page Gin! Its signature style is the result of the herbaceous awesomeness of its botanicals (basil, rosemary and thyme to be precise), which were distilled separately under vacuum before being expertly blended with a more traditional pot-distilled base. It doesn’t just sound delicious. We can confirm that it very much tastes delicious (see the tasting note below for more detail). But now for the question that is surely on all of your lips: why MoMer’s Web Page Gin? Well, the name was inspired by an episode of everyone’s favourite cartoon family. The label is a reflection of this, and of today’s online culture of memes, gifs and stickers. As you can see below, the light-hearted front illustration is a smorgasbord of MoM’s pioneering history, as well as memes, in-jokes and plenty of familiar faces! 1. The Charity Run of the Bumblebee, not the hero we deserved, but the hero we needed. 2. The MoM Mobile expertly parked on top of a bent bollard, which is definitely what was meant to happen. 3. The famous Instagram dog that our editor Kristiane Sherry met and fell head-over-heels in love with. 4. The top of MoM digital executive Phillippa Round’s head. If you’ve seen any of our recent VR video content, you’ll know that her head, as well as her hands holding a GoPro handle, are something of a regular feature. 5. The shed where the masterofmalt.com adventure all began. Time really does fly when you’re not in a shed full of broken (but not discarded) printers. But it’s not all memes and mayhem. If you know us well, you’ll be aware that we love a bit of technological innovation. This super-duper futuristic label actually harnesses the power of augmented reality! MoMer’s Web Page Gin celebrates the inventive side of the business, blending memory and magic like David Blaine doesn’t to bring the label to life! 1. Buy a bottle of MoMer’s Web Page Gin. You can’t really miss this step out, people. 2. Download the Zappar app on your fancy-pants smartphone or mobile device. 3. Open the app and aim your phone at the Zapcode on the neck tag of the bottle. 4. Once it’s scanned, aim your phone at the label (make sure to get close and get that whole label in). 5. Marvel at the result. You have conquered augmented reality (sort of). The AR platform also features a host of exclusive content, including recommended serve demonstrations and an interview with Stuart Medcalf, liquid production manager at That Boutique-y Gin Company, on how MoMer’s Web Page Gin was made. Naturally, the animated elements of the label can also be found and used as stickers in Instagram Stories or on Snapchat. Just search for MoMer’s Gin and you’re good to go! So, that’s our new gin. We’ve listed our tasting notes below with a couple of special cocktails. 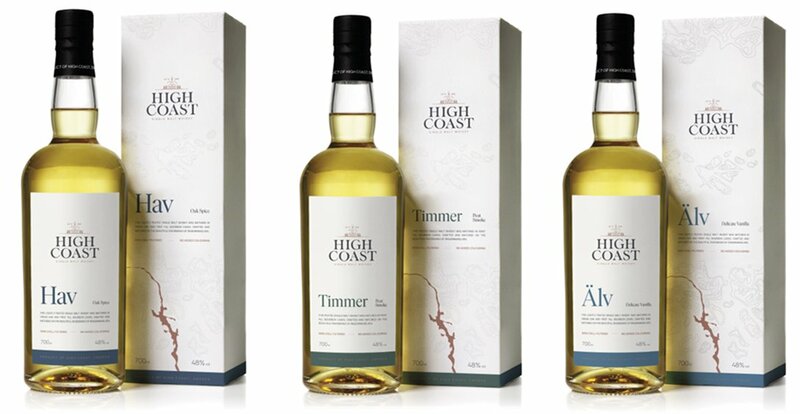 The first batch is available exclusively from Master of Malt now. There are only 660 bottles priced at £29.95, so move fast if you want some of that batch one brilliance. Nose: Through aromatic cinnamon and earthy herbs – basil and thyme – there’s warm citrus from orange peel and cardamom as well as refined, pine-y juniper and additional floral touches. Palate: The palate has a wonderfully rich mouthfeel. More baking spice emerges among a waft of orange blossom, lemon peel and a warm honey-esque sweetness. Bittersweet earth and garden herb notes are prominent throughout. Finish: It’s a peppery, piney and long finish, with a sprig of rosemary thrown in for good measure. You’ll be pleased to know that MoMer’s Web Page Gin makes a great G&T. But everybody loves a good cocktail these days, so we enlisted the help of That Boutique-y Gin Company brand ambassador Stephanie DiCamillo to develop two signature serves. What she came up with are simple enough to be recreated by gin lovers at home and really make the most of the basil, thyme and rosemary trio. In a shaker, muddle the basil, lime and blueberries. Add the gin and tea, and shake hard with ice. Strain into an ice-filled tumbler and garnish with a basil leaf. Coffee and tea-based tipples – no kettle necessary! No Comments on Coffee and tea-based tipples – no kettle necessary! We’ve shined a spotlight on some of the best boozes around that were created with either tea and coffee. It’s our round-up of coffee and tea-based tipples! They dominate the hot drinks category. For many, their consumption has become ritual. They help us make it through groggy mornings, or soothe us after a long day. Love is all you need? No, actually, Beatles. People also need a good cuppa tea or coffee; Beatles. Of course, it was only a matter of time before people recognised the potential to create great booze with coffee and tea. Our love affair with these drinks is just getting started, people. There’s a wealth of options now on the market for those who want to indulge in the rich and bittersweet delights of coffee or those who want to experience the herbaceous, aromatic qualities of tea in an alcoholic drink. We’ve rounded up some the finest coffee and tea-based tipples right here to save you the trouble of looking around yourself. Each even comes with an accompanying cocktail serve. Enjoy! Make the most of the most of your nights wrapped up warm this winter with this selection of gins with appropriately wintery botanicals! Christmas has concluded. But winter is still very much here, folks. The shorter, darker days. The seemingly endless cold. The dreaded heating bills. But winter has its upsides, too. It’s the time of year for thick, cosy clothes, roaring fires and who-cares-if-it’s-healthy comfort food. It’s also the perfect excuse to indulge yourself with a few seasonal spirits. Some of the finest gins around are packed with ingredients that appear as the cold sets in, or warming botanicals that are ideal for those frosty evenings. That’s why we’ve created this gin-tastic round-up of tipples that will keep you feeling jolly in the post-Christmas winter months. The season to be jolly is rapidly approaching, and we’ve got baubles and crackers aplenty so you can spread the spirit of Christmas MoM-style! Christmas is almost upon us. The most wonderful time of the year is nearly here. Soon it’ll be time to awkwardly hoist your Christmas tree down from the attic. And you’ll need to decorate it. You’ll also need to decide what should actually go under it. Don’t forget about after-Christmas dinner drinks! Christmas may be all kinds of magical and brilliant, but my word, there is so much to do. Fortunately, we’re already very much in the Christmas spirit here at MoM Towers. We’re dedicated to helping you see in the season with plenty of festive cheer. While our omniscient, red-coated, heavily-bearded, festive and acclaimed friend #WhiskySanta has been giving away £250,000-worth of the finest spirits to all you lovely drinks fans, we’ve been busy compiling a list of fabulous festive necessities, just for you! That’s right, we’ve got an array of boozy baubles and crackers right here, ready and primed to assist with that all-important decoration process. Enjoy! Save £25 with That Boutique-y Gin Company Advent Calendar Flash Sale! No Comments on Save £25 with That Boutique-y Gin Company Advent Calendar Flash Sale! We’re getting you ready for a spectacular Christmas countdown with a Flash Sale on That Boutique-y Gin Company’s Advent Calendar until tomorrow! Hands up if you fancy having a decidedly delicious December packed with top-notch gins. While we can’t actually see if anyone has raised their hands, we assume that most of the people perusing the MoM Blog would definitely enjoy such a tasty December. So, we’re making that easier to do by having a Flash Sale on one of our favourite festive Drinks by the Dram treats: grab a That Boutique-y Gin Company Advent Calendar now for just £74.95! Bank holidays provide us with a well-earned break, a chance to catch-up with friends and/or family, and offer a seriously good excuse to indulge in a tasty tipple or two. So, what’ll it be this year? Maybe you’re one of the many going gaga for gin, or perhaps you’re on the lookout for a new go-to wine. Others will be searching for a superb single malt or are looking for some cocktail inspiration. With so many different styles and spirits around, the biggest challenge is finding the right booze to tickle your taste buds! The gin bubble simply refuses to burst. As more and more expressions hit shelves, back bars and home drinks cabinets, gin brands are all over the world need a way to stand out. What’s an enterprising, discerning distiller or rectifier to do? Look to the botanicals, of course! By packing a peculiar botanical, the following gins have carved a singular path. Whether these additions are a reflection of the producer’s local area, or the result of radical experimentation, each and every one has found that distinctive can be delicious.